Anyone who’s been to Pence Ranch knows the greeting party that almost certainly welcomes you first is not Holly and Blair, but Hudson, Cooper, Sophie, Rocco, Rosie and Sosha. 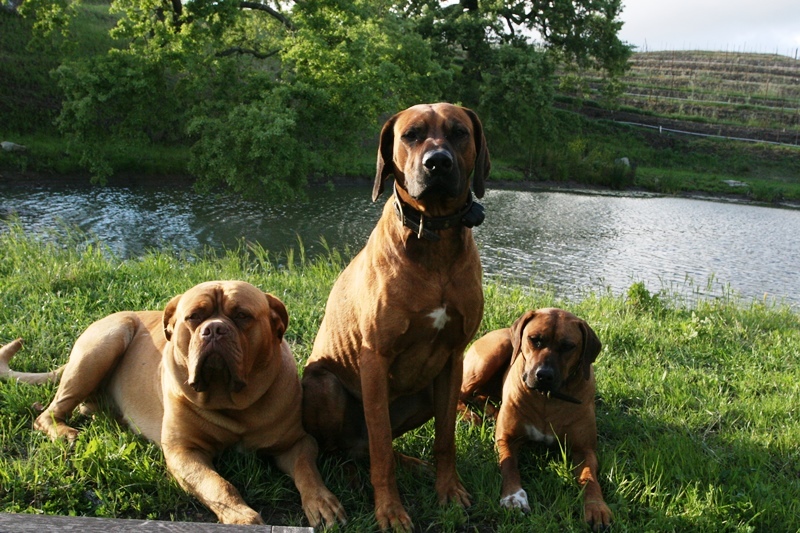 This dog brigade is made up of Holly and Blair’s 4 Rhodesian Ridgebacks, one very large French Mastiff (who has not shed his ‘winter weight’) and the ancient, lovable 20 year-old Pit Bull. These sweet-natured animals love to welcome each and every visitor. After the doggie welcoming party is over, Holly and Blair are most definitely next in line greeting you with big hugs, firm handshakes and a glass of wine. Holly, whose father is a Veterinarian, and Blair, who grew up in Bakersfield with dogs, are long time lovers of animals. Here at Pence Ranch, they have provided a perfect life for their horses, cows, cats, peacocks, chickens and ducks. But it is the Rhodesians who seem the happiest here: they love to run and are ideal ranch dogs. With 200 acres to call home, these dogs have free reign of the property and are constantly out and about chasing rodents and rabbits. They love to accompany us on every ATV ride and vineyard tour; Hudson especially loves ATV rides with our guests! When the dogs are not running or helping with tours, they reside in their first-class dog condo, lounge in the back of an ATV or on the ground soaking up the sun, and hang out with Daniel (our Ranch Manager) as their daily caretaker. Besides their sheer beauty and loving companionship, we are also thankful for their protection from deer and wild boar predation on the sweet-tasting vineyard fruit. Be sure to say hello to our dogs on your next visit to Pence Ranch! 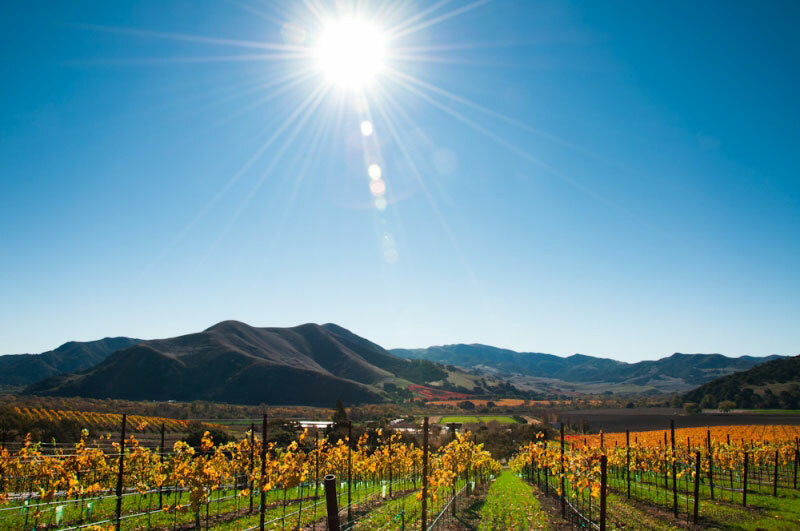 Pence Ranch History: Why Plant Grapevines Here? 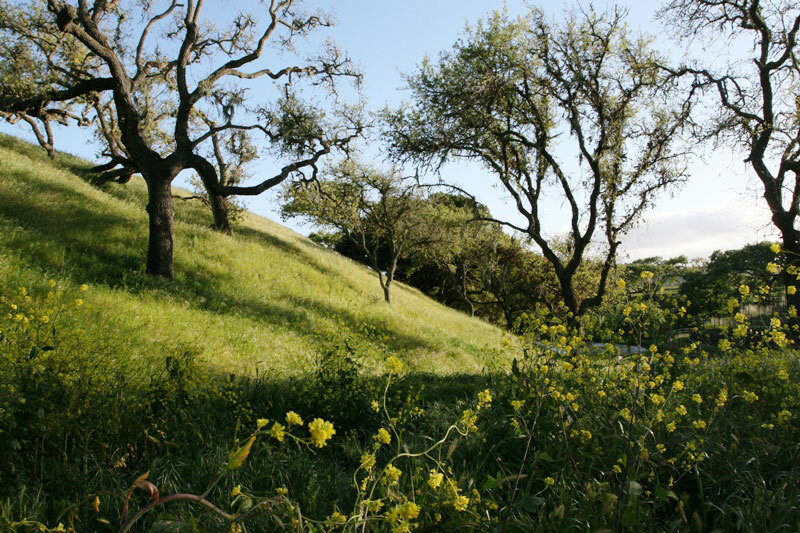 Let’s start at the beginning…..why Santa Barbara county, and why did I buy this particular ranch for vineyard planting? What really attracted me to this site for its vineyard potential was the incredible range of slopes, undulations, aspects and orientations to the property. It is situated on a higher plateau than the valley floor and is therefore held together by thick clay and calcareous rock. Because the ranch is also 2 miles long, the diversity of terroir is easily evident. The south half is almost entirely exposed to the cold, ocean winds that consistently blow in from the Pacific with west, south, north and east facings. The north half is mountainous, oak-studded and far more wind-protected facing the southeast and east. It is this variety in temperature, elevation and sun orientation where I knew immediately that I could grow great Chardonnay and Pinot Noir (so this makes Burgundian varietals my second love) on the south half. Read more about my love/obsession for Chardonnay & Pinot Noir here. I also realized the ranch’s potential for producing beautiful Syrah (on the north half) akin to what you might see from the Northern Rhône in France. 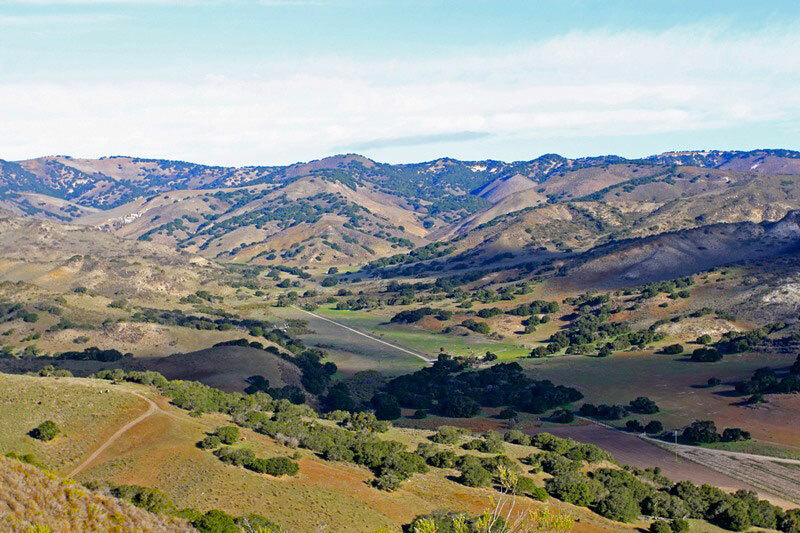 Looking at Pence Ranch, I fell in love with its land, its contours and its great complexity in topography and soil. And I know we can make delicious Chardonnays, profound Pinot Noirs and aromatically, flavorful Syrahs. Enter your email address to follow this blog & get posts by email.